According to TechnologyUser.com, the average household spent approximately $7,900 on technology in 2016. What’s more is that this is before the current increases to the cost of mobile devices and related services. Buying a smartphone, tablet, or any other portable device can be costly, and you’ll want to make sure that you protect your investment. Being able to answer does power bank damage battery can help you to decide whether these unique devices are the right choice for you. What Does a Power Bank Do? Power banks have one main job, and that is to make sure your devices have a backup source of power. Each smartphone, tablet, camera, laptop, or any other device will have a lifespan for its battery before it needs to be recharged. Many people find that their batteries are dying faster than ever, especially with apps having increased demands for power. Instead of being stuck with a phone at 20% for half of the day, a power bank can charge it back to 100% in an hour or two. What Are the Concerns About Power Banks? As with any technological device, the battery is one of the most delicate and vital components. If the battery in your phone is damaged, it could swell and explode, which leads to your phone becoming quite useless. A damaged battery also equates to more money spent on a device, as you’ll need to have it repaired or replaced in order for your phone to work. As power banks are responsible for recharging this vital part of your device, users are worrisome about their build quality and reliability. It’s important to remember the quality of the charger when asking whether or not does power bank damage battery. The integrity of your battery is dependent on the quality of its charge, and if you charge it with a poor device, the battery life will also be poor. With an improper power bank, you can damage your battery for good and be forced to pay more for a working device. 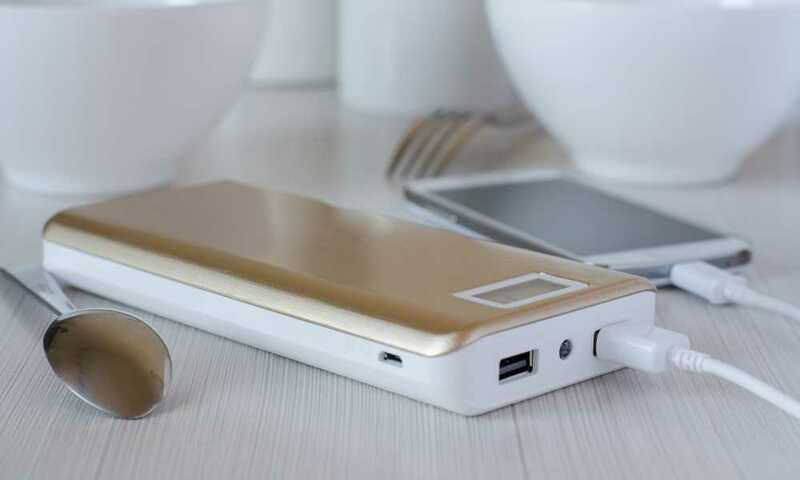 When shopping around for a power bank, there are several important things to look out for in order to make sure that you’re getting a reliable product. First, you should always inquire about the PCB quality, as it’s responsible for determining the effectivity of your charges. PCB controls the level of voltage that is produced by the power bank and is transmitted to your devices. Over-voltage can cause your battery to fry or explode, which is more dangerous than it is inconvenient. As another feature that is controlled by PCB, intelligent charging is something that your power bank should definitely have. If smart charging or intelligent charging isn’t advertised on the product page or its packaging, you will need to confirm it with the manufacturer. This technology helps to make sure that your battery isn’t exposed to short circuits, over-currents, overcharging, or high temperature. Apart from making sure that your battery is protected, intelligent charging also takes the work out of finding the perfect power bank. Intelligent charging will automatically adjust the outputs based on the connected device, making sure the right voltage is always selected. There are three stages to fully charging a battery: rapid, continuous, and trickle. Once a battery has been fully charged, the charger should then enter the trickle stage. This helps to make sure that the battery gets to and remains at 100% until disconnected. If your power bank does not feature trickle charging, it means that your phone will never reach 100%. This significantly decreases its overall lifespan and irrevocably damages the battery. Above all else, power banks are susceptible to damaging your connected devices if they’re built poorly. With limited regulation on the technology, power banks are developed around the world, and some manufacturers don’t have fantastic standards. When looking for the right external power source, always choose a reputable brand that has plenty of genuine reviews from real customers. You’ll also want to make sure that any reviews are posted months or years after using the unit, as some power banks fail after a couple of months. What is the Best Way to Use a Power Bank? There are ways that you can protect your battery on your own, even with a poorly built power bank. The best thing that you can do is keep an eye on your devices while they’re charging. You’ll want to take note of whether or not your phone or the power bank is getting too hot, and if the battery isn’t climbing at an agreeable rate. You’ll also want to time the charges as well, as you won’t want to keep your phone connected for too long. Power banks aren’t designed to be an alternative to a traditional outlet, so if you are at home, it’s always best to stick to your wall adapter. You can guarantee that a power outlet will fully and safely charge your battery, and it’s always a better alternative. Additionally, you won’t want to put too much stress on your power bank as it will cause it to degrade much faster. To get the most efficient charging speeds possible, always make sure that you use OEM cables that are rated for your devices. Aftermarket cables can cause damage, regardless of the quality of your power bank. Although they may be cheaper, they’re not ideal. In order to know whether or not does power bank damage battery, you’ll need to know how power banks work and what to look out for. 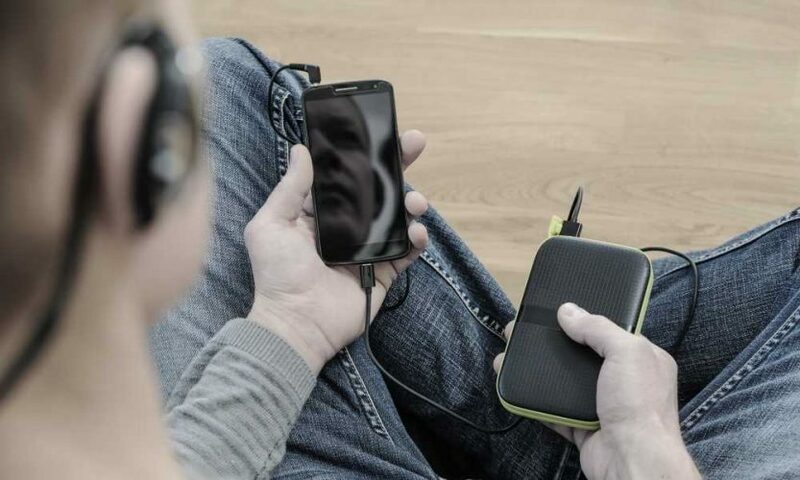 In order to protect your smartphones, tablets, and other electronics, find a high-quality power bank with positive long-term reviews.